with Tom Mulroy (sixth from left) and Lance Shaner. 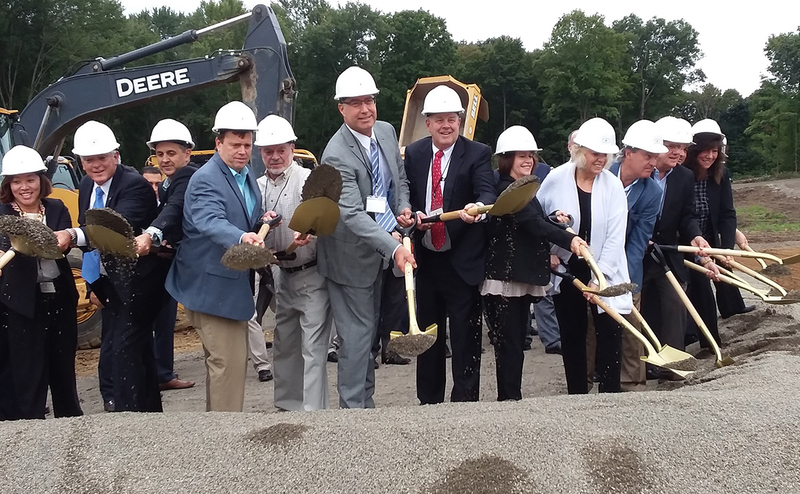 Hyde Park, NY Bellefield Development Partners, an affiliate of T-Rex Capital Group, LLC, along with representatives from the town, Dutchess County and NYS, broke ground on the Inn at Bellefield and phase 1 of the construction of Bellefield at Historic Hyde Park. Bellefield at Historic Hyde Park will be a $500 million hospitality, culinary and sustainable agrihood destination. With two hotels, culinary shops, farm-to-table restaurants, an event barn and educational center, Bellefield at Historic Hyde Park will complement existing Dutchess County tourism destinations while providing much-needed quality housing. The development will be located at the gateway to Historic Hyde Park, on Rte. 9 across from The Culinary Institute of America. 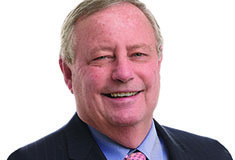 The hotel architect is Richard Hurdle AIA NCARB, principal, ZHA Architects PC. The contractor is Lawrence Knapp, a client services manager at PC Construction Company, and the builder is William Hoy, VP design, construction and facilities management at Shaner Hotel Group. Developed in partnership with Shaner Hotel Group – one of the hospitality industry’s leading owner-operators of full- and select-service hotels – and in collaboration with Marriott International, The Inn at Bellefield will be a 133-room soft-branded Residence Inn. It is the first of two planned upscale all-suites lifestyle hotels on the property. In addition to the hotel, Phase 1 of the construction of Bellefield at Historic Hyde Park includes construction of the property’s infrastructure – roads, sewer, water treatment and electric – to establish development of future phases. The combined investment of the hotel and property infrastructure for Phase 1 will total $60 million. Bellefield at Historic Hyde Park is uniquely positioned to embrace the Hudson Valley’s food and beverage traditions by providing an immersive and eco-friendly environment to appeal to one’s senses like no other place before it. It will also become a residential address for those with an appetite for a simpler, more connected life. A 90-minute drive from Manhattan, Bellefield at Historic Hyde Park will be a 340-acre community designed with a working farm as its heart and soul – with 58% of the site’s acres remaining wooded and undeveloped and 48 acres devoted to agriculture. The hotel will help meet the demand for lodging in Dutchess County. “I would like to take a moment to thank Tom Mulroy, Bellefield Development Partners and T-Rex Capital Group for allowing Shaner Hotel Group the honor to be a partner in this outstanding development project,” said Lance Shaner, chairman and CEO of Shaner Hotel Group. Dutchess County is home to many world-class tourism destinations, including the FDR Presidential Library and Museum, The Walkway Over the Hudson, The Vanderbilt Mansion, Marist College, and The Culinary Institute of America. There are nearly 5 million visitors to Dutchess County each year. The development is projected to create more than 550 construction jobs and 369 full-time, permanent on-site jobs. Equally positive is the projected generation of tax dollars. Over the next 10 years, Phase 1 of the development is projected to generate more than $118 million in state, county and town tax revenue. The 10-year combined operation and visitor spending economic impact from Phase 1 will exceed $634 million.